It is not a wise or a sensible thing to do, to fly from the US to the UK, getting in late on the Tuesday night, and flying back early on the Thursday morning, in order to go to a funeral on the Wednesday, but sometimes you do the wrong thing because it's the only right thing you can do, and because you have to say goodbye to a friend properly, and that was true this week. 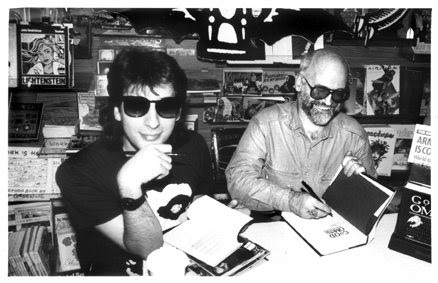 It's a bookshop signing photo, which is a nice change. Back then, every newspaper interview we did they'd drive us to a graveyard. I'm not 100% certain why. But in ancient crumbling newspaper picture archives, there should be a host of photos of Terry and me holding Good Omens and looking not very scary at all. 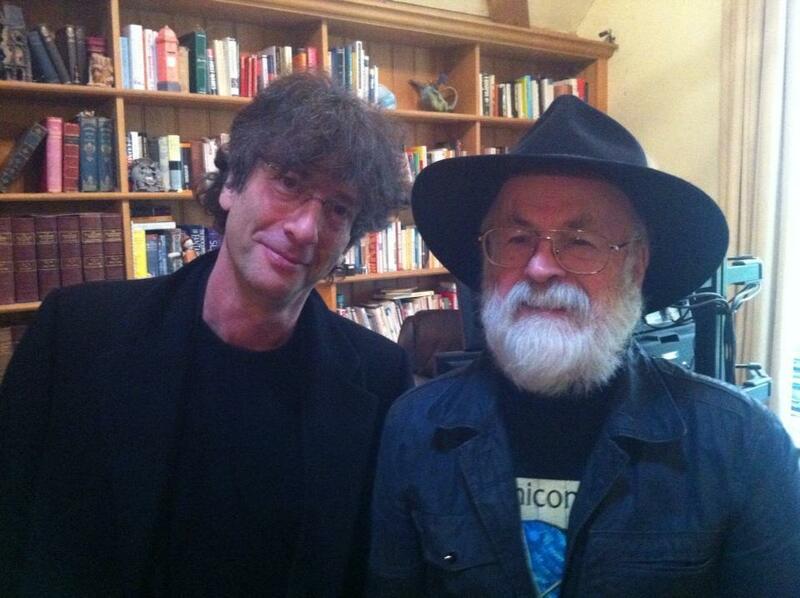 It accompanies this: http://www.locusmag.com/2006/Issues/1991_Gaiman_Pratchett.html -- an interview with us both from 1991, in Locus Magazine, from back when we were very young and prone to finishing each other's sentences. 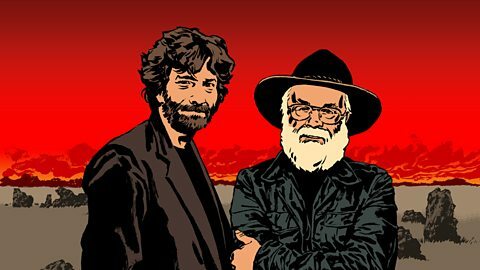 BBC Radio 4 is going to repeat GOOD OMENS as a tribute to Terry: it starts Monday the 6th, at 22:30 UK time. Details at http://www.bbc.co.uk/programmes/b04knt4h If you missed it, you can listen to it from anywhere in the world, using the internet, or an app (if you have only a phone/tablet). And Terry's death makes me think of Douglas Adams' death (I missed the memorial: it was the first day that planes were flying again after 9/11, and I gave my seat on the plane up so that someone could get home). Your Mum and Dad. They give you pets. We had a dog which went astray. Got laminated to the motorway. I cried. We had to post him to the vet’s. This dying thing. Death’s always due.